Thinkers is where it all starts at Speak Up Studio! Our early childhood story time program for kindy-age students. The books that are read to us at this age often stay with us for life – you yourself, as parents know this! 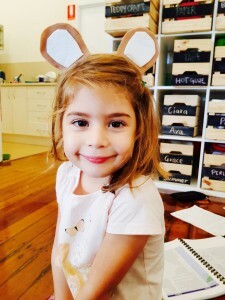 Our kindy Speech and Drama classes give little ones the chance to act out their favourite stories in a silly, play-focussed environment. 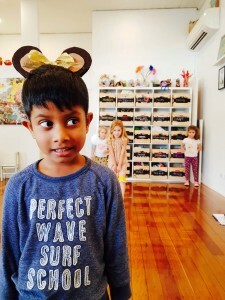 We don’t expect these little monkeys to stand in straight lines and point their toes, but we absolutely adore when they show us how they’re trying so hard to listen carefully to all the wonderful words that their teachers are saying. The Thinkers program is gender neutral and inclusive. These three and four year old children are able to express themselves, and explore different ways of moving, creating and imagining. The program aims to foster a love of books and stories. The teacher creates an atmosphere where students feel comfortable and safe, so they can play happily in the world of drama and stories. 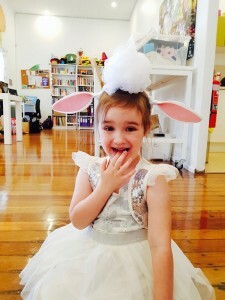 Kindy drama classes run for 30 minutes over eight weeks in term time. Classes begin in week two of each term. Thinkers classes are spent doing fun and engaging activities, focussed on movement, self expression, storytelling and school readiness. Each Speech and Drama activity (disguised as a game) has the potential to become a small performing opportunity for our students, giving both the keen performers and the budding stage stars the chance to extend their confidence in a safe environment. We prefer if parents do not stay to watch, as your presence can be a little distracting for our students and teachers. We understand that at this age, your little one might need you for a little while until they have settled in. We are also more than happy for you to dash upstairs to the cafe for a coffee while your little one is in class! What performing opportunities will my child have? Thinkers students perform for mums and dads at the end of every term. What resources will my child receive? Each child receives a sturdy Speech and Drama folder when they enrol. The folder is like a giant pencil case. Students receive a wonderful collection of poems and stories throughout the year. Thinkers students are welcome to wear comfortable clothes that are easy to move in. Creative colours and dress ups are always celebrated at Speak Up! Can my child try a class? Speak Up does not offer trial lessons to new students as we do not believe it is possible for a child to get a full understanding of what our programs are like in just one lesson. We offer a one month guarantee instead. Pay for your first month, come along for up to four weeks and if your child isn’t loving it, we we will cancel your enrolment and you won’t be charged any more for the term. Learn more by reading our terms and conditions. Our fees are designed to be EASY! Everything is included in 3 x payments of $60 each term. Learn more by reading our terms and conditions. What’s the next step in the Speak Up Imagination Curriculum? When your child has completed Thinkers, the next step is our Explorers program for prep and grade one students. Explorers guides students through their first years at school and supports them as they make friend and have a go at show and tell. Where will we journey to next on our Speak Up Studio tour?